I still haven't recovered from the release of The Heroes of Olympus: The Blood of Olympus by Rick Riordan and I am already affronted by another nice companion book to look forward to. Making use of the perspective of one of the coolest demigods, Percy Jackson, Percy Jackson's Greek Gods chronicles some of the greatest legends in Greek Mythology. Some ADHD remarks and teenage attitude are surely gonna make their way into the stories. And don't forget his personal commentaries, as well. This entertaining story-telling is accompanied by some fantastic art from Caldecott Honoree John Rocco, who also did all art and illustrations in the Percy Jackson and Heroes of Olympus series. Be prepared mere mortals for the official cover of Percy Jackson's Greek Gods by Rick Riordan, illustrated by John Rocco. So begins Percy Jackson's Greek Gods, in which the son of Poseidon adds his own magic--and sarcastic asides--to the classics. He explains how the world was created, then gives readers his personal take on a who's who of ancients, from Apollo to Zeus. Percy does not hold back. "If you like horror shows, blood baths, lying, stealing, backstabbing, and cannibalism, then read on, because it definitely was a Golden Age for all that. 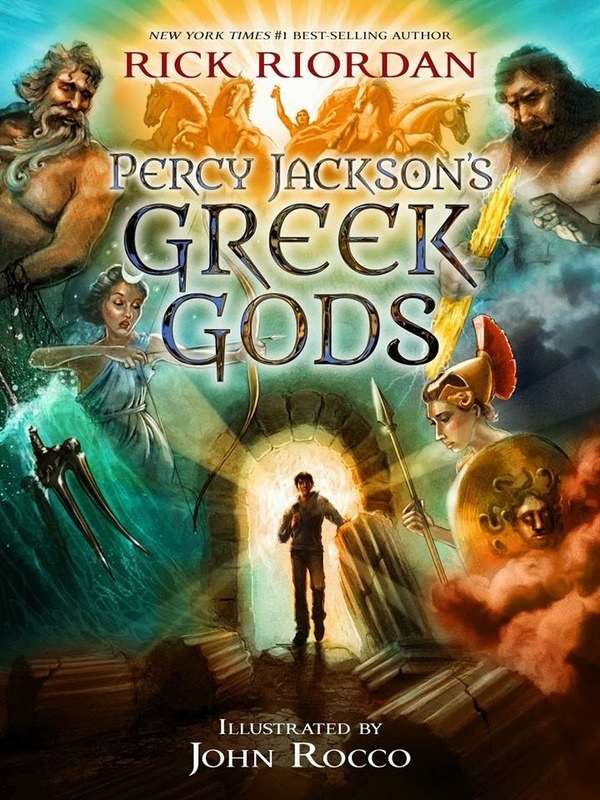 Expect Percy Jackson's Greek Gods by Rick Riordan to be released on October 2014, just around the same time as The Heroes of Olympus: The Blood of Olympus.